This year people all over the world will be celebrating the 90th anniversary of iconic Route 66. Most will center on the mystique and romanticism that is the dominant theme of the highway in its era of renaissance. A few will be a bit more historically based. However, whether these events and festivals take place at the highways original western terminus, in Springfield, Cuba, or Kingman, or in southern Germany, all will have a commonality. Wherever Route 66 enthusiasts gather, there is a sense of camaraderie, of family as it is the people that give this road an enduring sense of vibrancy. The 90th anniversary of this storied old road finds it at a crossroads. Will its new found popularity wane or continue to grow into the centennial and beyond? What will a Route 66 experience be in ten years? What will the face of Route 66 look like when most all of the people who had an association with this road in a pre-interstate highway world have passed on? From its inception, Route 66 mirrored the changing face of America. That trend continues today. The installation of electric vehicle charging stations, the re-purposing of old service stations, the nature of commemorative or celebratory festivals, grassroots initiatives to save the bridges that are so crucial to the preservation of the roads historic character, and even colorful murals in communities from Chicago to Santa Monica are indicative of the fact that Route 66 is still a highway in transition. 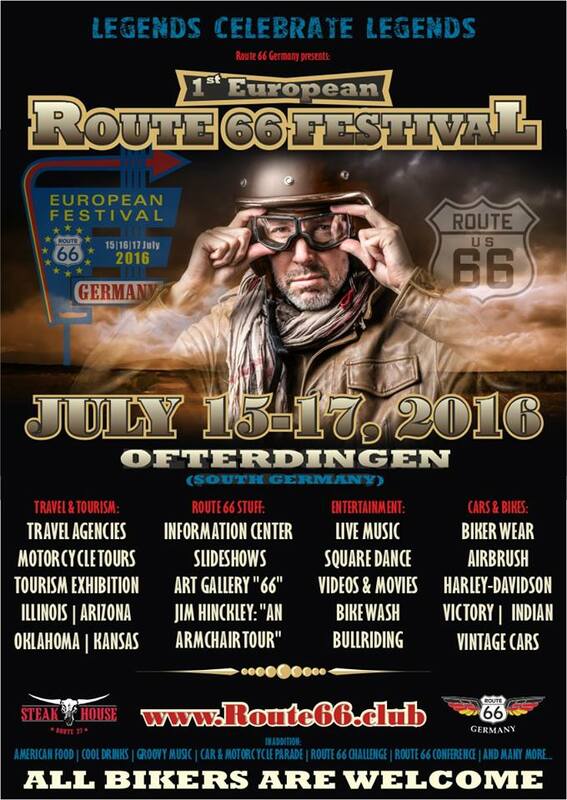 Likewise with the creation of Route 66 associations in Japan and the Netherlands, and the European Route 66 festival, the first of its kind, this July in Germany. In recent years there has been a tsunami of interest in Route 66 that has yet to crest. If this can be sustained or nurtured, there is little doubt that this national treasure will thrive to its centennial and beyond. Examples of the highways prominence in regard to tourism development, economic development in rural communities, and the perception that the old road is still the Main Street of America, an increasingly rare opportunity to experience the people, the places, and the vast landscapes in a raw unfiltered state are manifest in amazingly diverse locations. Try a simple Google search of Route 66 and you will be amazed where the name surfaces, the blogs and websites about the old highway, and by the companies linking themselves to the road for a promotional edge. On a more personal level, the popularity of the double six has provided me with previously unimaginable opportunities for some of my favorite things; adventure on the back roads, and sharing those adventures. Next week I make a presentation before a Route 66 bicycle tour group about the highways history in western Arizona. In May, the date has not been set as of yet, I will make a presentation at the Dambar in Kingman, which will be followed with a presentation at Grand Canyon Caverns, the Route 66 festival in Holdbrook, and then at the festival in Germany. 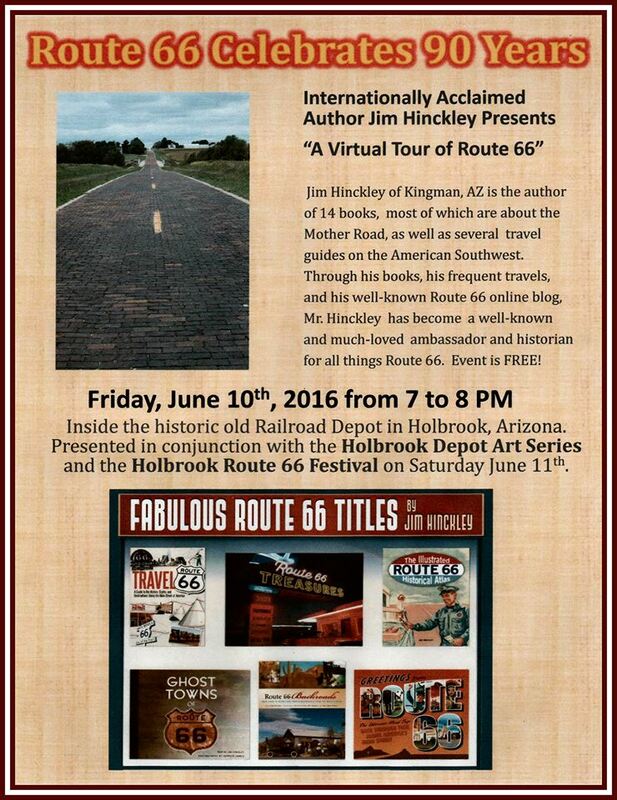 Route 66 celebrates 90 in 2016, and it is at the crossroads. But from where I stand, the old road today may be more popular than ever, and its future seems quite bright indeed.